Super Typhoon Mangkhut slammed into the northern Philippines on Saturday (Sept 15) with violent winds and torrential rains, as authorities warned millions in its path of potentially heavy destruction. As it barrelled west toward China across the disaster-prone archipelago, the storm's gusts strengthened up to 330 kilometres per hour but its sustained winds had weakened to 185kmh. "As much as possible, stay indoors," Chris Perez, a forecaster for the state weather service, warned the roughly four million people in the path of the storm after it landed at 1.40am. An average of 20 typhoons and storms lash the Philippines each year, killing hundreds of people. Thousands of people fled their homes in high-risk areas ahead of the storm's arrival because of major flooding and landslide risks. The elevated warning level carried risks of "very heavy" damage to communities hit by the typhoon and a storm surge that was forecast to hit six meters in some areas, the weather service said. Residents had started lashing down their roofs and gathering supplies days before the arrival of the storm. 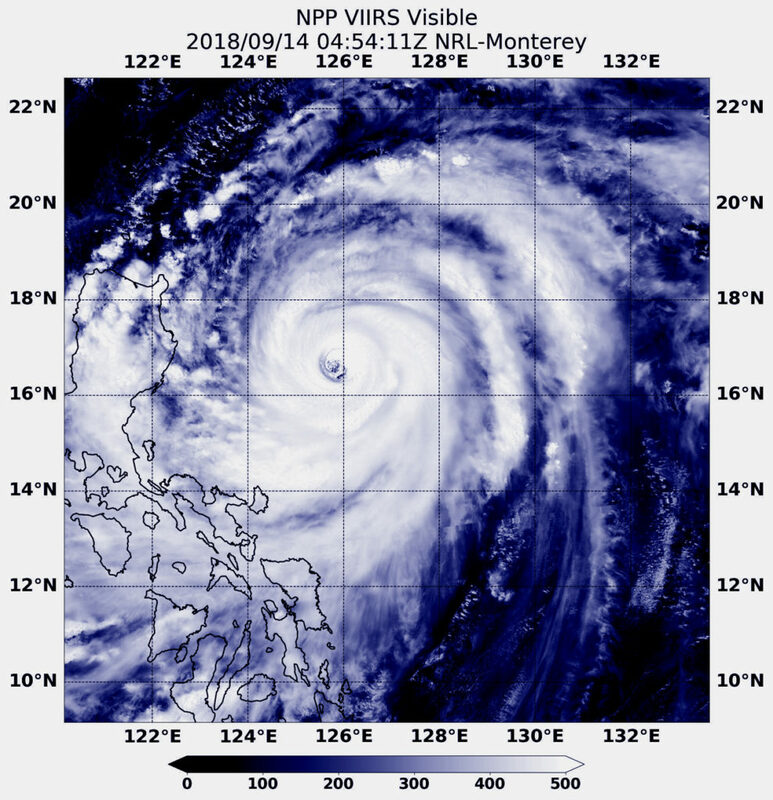 "Among all the typhoons this year, this one ( Mangkhut) is the strongest," Japan Meteorological Agency forecaster Hiroshi Ishihara told AFP on Friday. "This is a violent typhoon. It has the strongest sustained wind (among the typhoons of this year)." After blasting the Philippines, Mangkhut is predicted to hurtle towards China's heavily populated southern coast this weekend. The storm is not forecast to directly hit Hong Kong, but forecasters say the city will be lashed by Mangkhut's wind and rain. The Hong Kong Observatory warned that the massive typhoon will pose a "severe threat" to China's southern coast before moving on to northern Vietnam.